UPDATED: Check out our Learning Series posts on Loglines, Outlines, and writing your First Draft. On the surface, trying to write a script or screenplay is deceptively simple, partially because everybody intrinsically understands the language of cinematic storytelling. It is an inevitable (and crucial) byproduct of growing up watching movies – everybody knows the feeling of being able to anticipate a character’s next move, or when the plot will shift directions, or when the monster is about to crash through the window. If you know movies, you know enough to write the script, right? Another part of the deception is the textual nature of screenplays themselves: the formatting on the page creates a lot of empty space. Anyone who’s spent time in a script editor knows the giddy sensation of typing along and finding themselves suddenly ten, or twenty, or even thirty pages into a script. Wow, that was quick, right? The problem is that scripts are as much technical documents as they are works of art. You could craft a beautifully heartfelt and original script that will be rendered completely unfilmable by virtue of the way that you wrote it. You could have a one hundred and fifty page script that would only justify forty minutes of screentime. 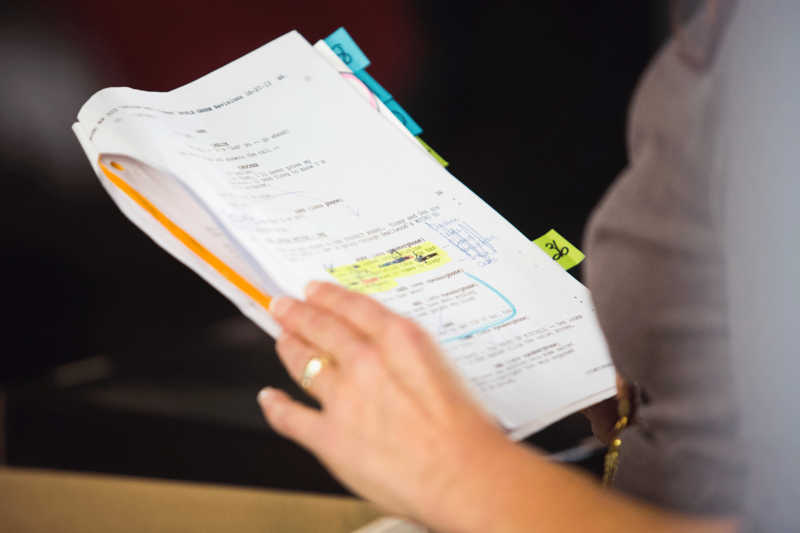 The margin for error in writing a script is enormous, because a screenplay isn’t a story to be read on its own: rather, it is a blueprint for creating something larger and much more complex. Consider the Frankenstein metaphor: stitching the creature together is one thing, bringing it to life is something else entirely. A great way to start the process is by coming up with a logline: one or two sentences that will encapsulate your story in an intriguing manner. Once you’re done with that, develop your characters. Write their backstories. Refine their personalities. Think about what makes them tick. Always make sure that your characters have goals that they need to achieve, and ensure that those goals carry high stakes should your characters fail to meet them. This does not mean that their goals need to be lofty, they just need to be authentic. The stakes can be as high as the end of the world or as personal as the end of a friendship. The point is that characters having purpose is what makes them interesting. Flat characters destroy scripts. No matter how great your action sequences are or how original your concept is, one dimensional and uninteresting characters will drag your story to a halt. You’ll find that writing with your characters’ personalities and goals in mind will take your story in unexpected places (usually for the better). An outline (sometimes called a ‘beat sheet’) is a brief synopsis of your entire story. Try to fit it on one to two pages, and be concise. Broad strokes are key here. Think of the outline as the ‘definition’ of your script that breaks down the movement of the story, plot point by plot point. This is where you should begin to think about structure. Essentially, conventional cinematic storytelling is bound to a classical format of three acts: It’s how people expect stories to be told. There are many books written on the subject of screenplay structure, but the fundamentals are pretty simple. An average screenplay will be about ninety to one hundred pages. Divide those pages by three. There’s your acts: the first one should introduce your characters and setting and feature an inciting incident that gets the story underway. The second act is where your characters encounter obstacles as the story escalates into a crisis. The third act is where the crisis becomes climax (think victory or defeat), after which the story slows down and resolves itself. Don’t think of it as a paint by numbers approach – there’s plenty of room for experimentation and subversion. Now you get to start flexing your prose muscles and develop your style. 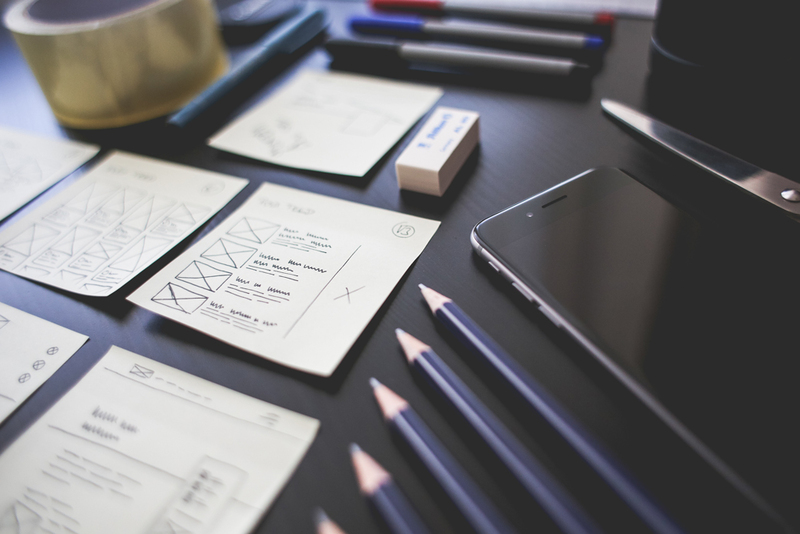 Treatments are effectively a more in-depth version of your outline. Expound upon it and write your whole story scene by scene in a conventional manuscript style. Experiment with dialog, or at least make note of what you want your characters to say. Develop your settings. Have fun with descriptions. The treatment is where you really start building the world that your story takes place in. The length of a treatment is dependant on both the kind of story you’re telling and the length of the intended finished product. For reference, a typical feature treatment will clock in at around thirty pages. Time to get to work. You’ve developed your characters, structured your plot, and have an inspired treatment. Understand the formatting. Write in the present tense. Brevity is your friend. Remember to show, not tell: you’re writing for the eyes and the ears. Go to it, and godspeed. 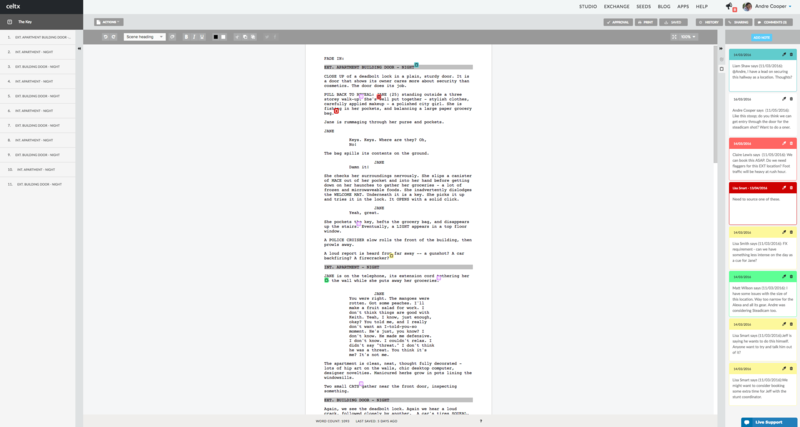 It’s always a good idea to write in a script editor to help streamline the process, and Celtx Studio features one that is tried, true, and hugely popular (and it’s free). With any luck, you’ll make it to step five. Completing the first draft is an accomplishment to be celebrated, but it’s just the beginning. If you think your first draft is perfect, it’s not (sorry). Go back, read it through, take stuff out, and add stuff in. Get other people to read it and commit yourself to being open to constructive criticism. Don’t just look for feedback from professionals and editors – lovers of fiction or plain old movie fans can offer advice just as sound as any seasoned screenwriter. Throw your script out there and surround yourself with the ideas that come back. Always be refining and revising, and just when you think you can’t possibly revise any further, do it again. It all comes down to practice. Most professional screenwriters complete multiple features before they write a script that sells. A select few hit it out of the park on the first try. All will agree that you need to be dedicated, and that most of all, you need to love your story. If you don’t, it’ll never be complete.